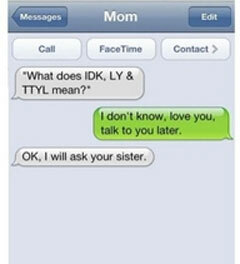 IDK LY TTYL: I don’t know, love you, talk to you later. Created about 7 yrs, 27 days ago (March 27, 2012). Updated about 7 yrs, 27 days ago (March 27, 2012).